The Jackhammer Driving Kit (JDK) is great for large projects where the fastest installation is desired. The JDK Jackhammer Adapter Kit comes with a driving bit and HSP-T4 hammer spacer. The jackhammer bit (OH-01) fits a standard 1⅛” jackhammer chuck. The included HSP-T4 works with 4×4 wood posts, the purchase of an additional spacer may be required and will be noted with each product. To use the Jackhammer Driving Kit (JDK) simply insert the spacer into the post sleeve and place the jackhammer bit on top of that. 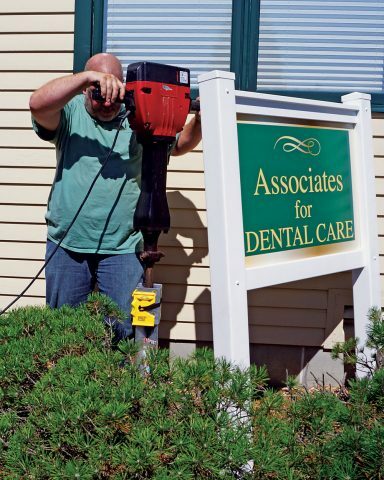 After you get it started, you’ll want to attach your post level to make sure you’re going in straight…then continue using the jackhammer until you’ve got it as far in as you want. 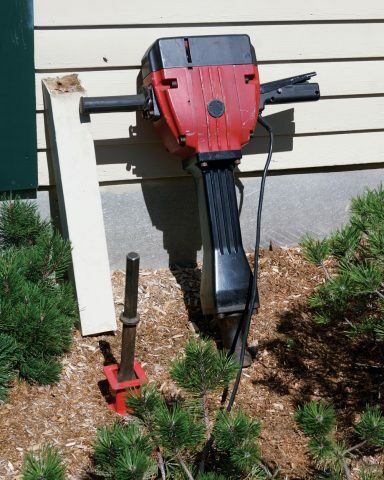 How far… will depend on if you have a decorative OZ-Post and want to see the top of the sleeve or not…But, if you’re using wood posts, then we recommend leaving an inch or so of the sleeve above-ground, to help avoid moisture from rotting your post and protects from yard equipment like weed-eaters.